One must credit James Robinson with having made Earth 2 a surprising book, if nothing else. I can honestly say that I did not see the surprise revelation of this issue coming at all. I don't think anyone did. Yet now that the news is out, I can see the sense of it and wonder how I did not see this coming! Like most of Robinson's re-imaginings thus far, this Fury is a far cry from the original Hippolyta Hall who went on to greater fame as a supporting player in Neil Gaiman's Sandman. 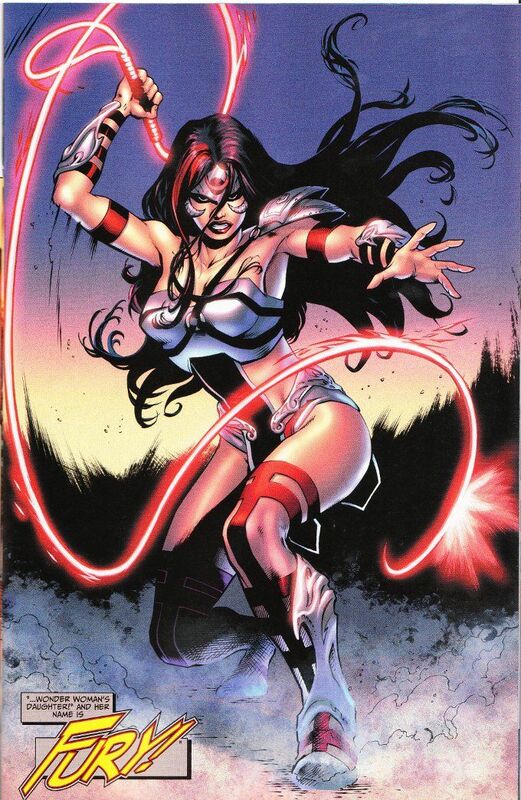 This Amazon daughter was apparently kidnapped at a young age and raised on Apokolips, turned into a weapon to be used against her homeworld! This is a brilliant conceit on Robinson's part, hinting at a connection between this Fury and the Female Furies of the New Gods. Oddly, considering the anthology feel of the series so far, this issue focuses entirely upon Fury and the marooned Apokoliptian general Steppenwolf. Trapped on Earth and in hiding, the main thrust of the issue concerns Steppenwolf's efforts to reestablish a base of power on Earth. There's more talking than action in this issue, but Robinson does a good job of further establishing the world and differentiating it from the main DC Universe. 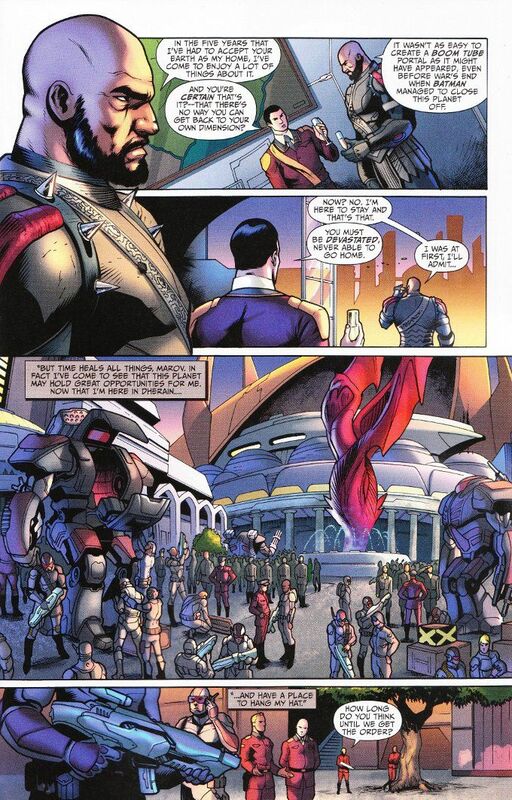 The artwork by Yildiray Cinar is skillful, but uneven at times. I put this down to the book's two inkers. Most of the panels look fine. Indeed, some like the splash page where we get our first look at Fury are poster-worthy! But others are too thinly inked, barely seeming to have been touched at all. It's a unneeded distraction while reading the story but not so disastrous of one it makes the book unenjoyable. If you haven't been reading Earth 2, this isn't a bad issue to start with. The story stands on its' own merits and you need know nothing going in save that this is an alternate Earth from the one seen in most of DC Comics' books. Apart from some uneven inking, the artwork complements the writing perfectly. This is truly one of the best books on the shelves right now!